COMMERCIAL LOCKSMITH SERVING MICHIGAN BUSINESSES! 24 Hours a Day 7 Days a Week • Emergency Locksmith! Action Locksmith inc. has provided commercial solutions for businesses and retail locations over 25 years. From simple re-key services to access control and camera systems; Action Locksmith inc. does it all. We are fully insured up to $2 million dollars, our technicians wear uniforms so you and your employees can identify them while they are working in your business. 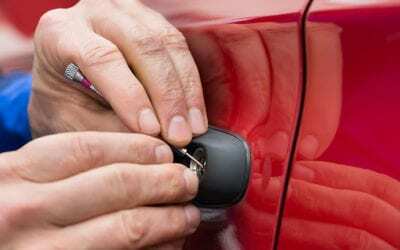 Action Locksmith inc. had proudly serviced Michigan businesses for over 25 years. Serving the tri-county areas and beyond. 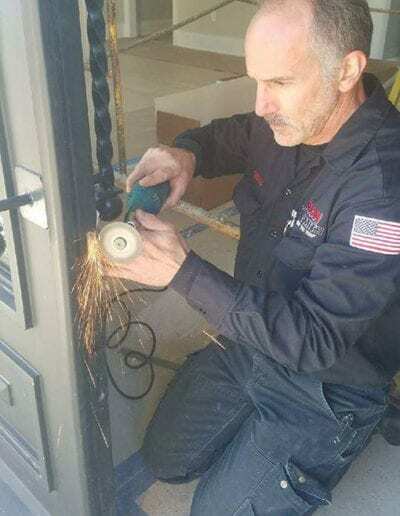 Commercial Locksmith Helping Michigan Businesses! With Over 30 Years Experience, Our Commercial Locksmith Technicians Can Help! 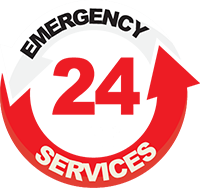 We offer a quick response time and 24 hour emergency services to get you back in your building, vehicle, cabinet or any other locked area. Our technicians can create a masterkey system that will allow multiple locks to be keyed individually but can use one master key to unlock. Our technicians are knowledgeable in all commercial door hardware. We are able to replace worn parts as well as complete replacements. We have many items on our van to make same day repairs or replacements. 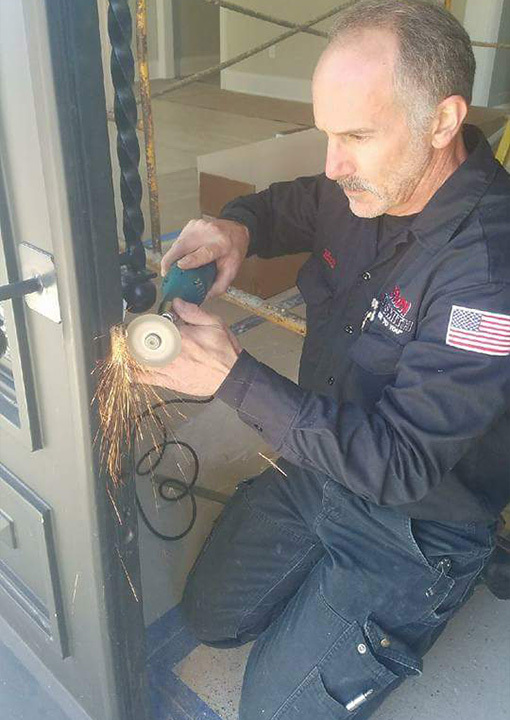 Our technicians can trouble shoot electrical and mechanical systems of many electronic door entry devices. This includes: sliders, motion sensors and more. (These are the gate systems that do not pull down, they move side to side.) 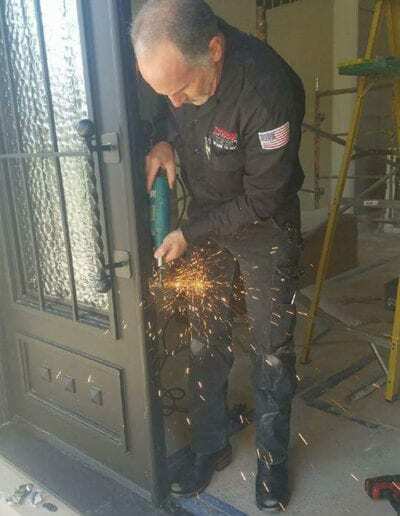 Our technicians can do simple adjustments and lubrication to the gate or they can repair and replace parts as needed. Our technicians will repair, replace or install keyless entry systems on doors (interior and exterior) and cabinets. Some operate with battery power while others are mechanical. 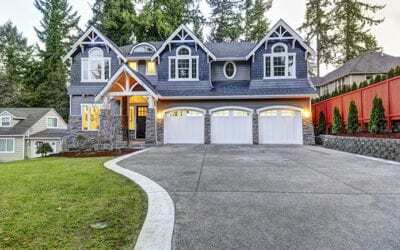 Lost keys, damages or replacement. We carry several types and brands of office furniture locks. We also can make internal locking mechanism repairs as well as installing external locking bars on file cabinets. 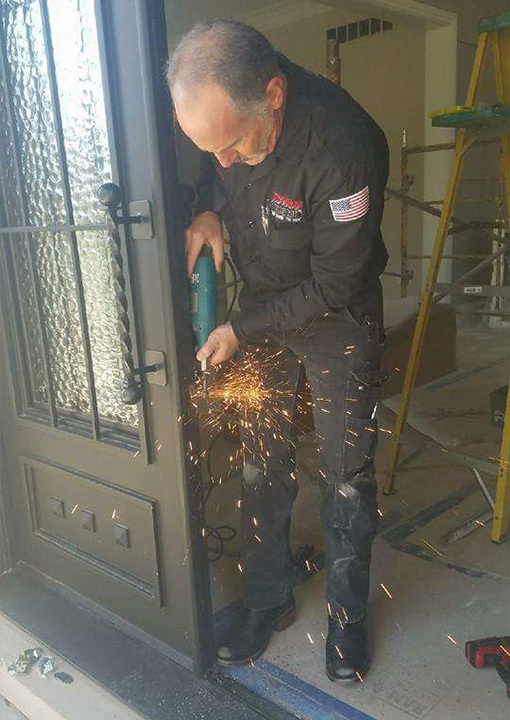 Our locksmith technicians can repair, adjust, lubricate and install new door hinges. We also can install a continuous hinge that will secure from top to bottom of the door and frame. If a key is lost, stolen or the need to terminate an employee occurs, our technicians will re-key one lock to an entire building. 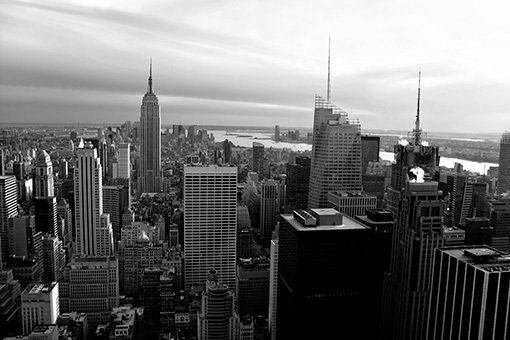 Our technicians are knowledgeable in local and national building, ADA and life safety codes. We can correct any violations that you may have, or that an inspector has sited you for. Our technicians can repair, replace or install electronic strikes. Electronic strikes are designed to allow a door to be opened by a remote release mechanism. We carry numerous brands, finished and styles of commercial grade hardware in our van. We can make any adjustments, repairs or replacements necessary. We carry several brands and finishes in our van. Most closer issues are minor an can be fixed with adjustments but if fluid is evident on closer, replacement is usually necessary. Our technicians can do simple adjustments and lubrication to the gate or they can repair and replace parts as needed. 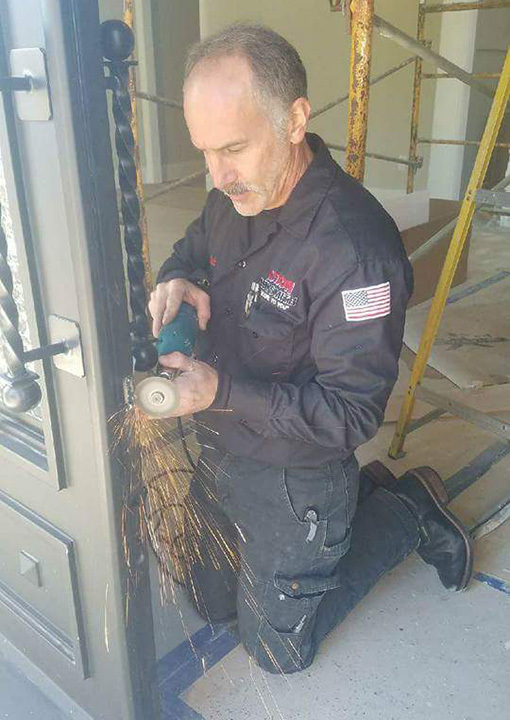 Our technicians can install new doors. 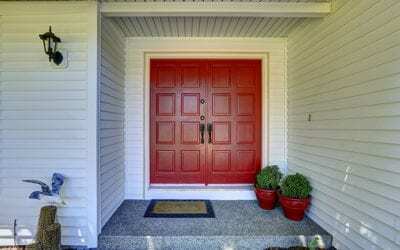 Replace or repair any issues with existing doors. We can correct sagging, difficulties locking and damaged pivots. Note: We outsource glass replacement. Our technicians can install, setup and repair camera security systems. We sell many different brands that will help meet your budget. Call today for an estimate. Our technicians will troubleshoot, replace or install card access systems on doors (interior and exterior) and cabinets. 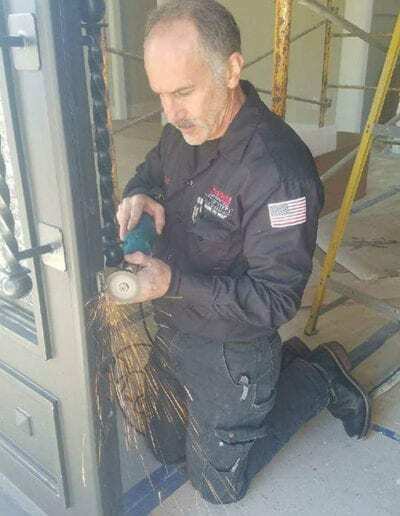 Our technicians can install new doors. Replace or repair any issues with existing doors. We can correct sagging, difficulties locking and damaged pivots. This includes sales and installation of: kick plates, pulls, bathroom partition locks, latch protectors, and much more. We can install, repair, and change the combination on many safes. We have limited ability in opening and moving large safes and may outsource both. Our technicians have extensive knowledge in the repair and replacement of surface mounted, mortise, concealed and vertical rod devices. We also repair any brand exit device with alarm.